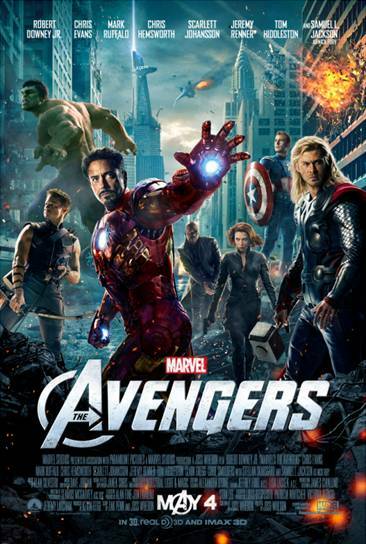 The new one-sheet theatrical poster for The Avengers was released today. A new trailer for the movie will be released on Apple’s iTunes, http://trailers.apple.com/trailers/, tomorrow at 9 a.m. (PST). The movie will arrive in theaters on May 4. Would you have the wedding rehearsal after the wedding? No, I didn’t think so. 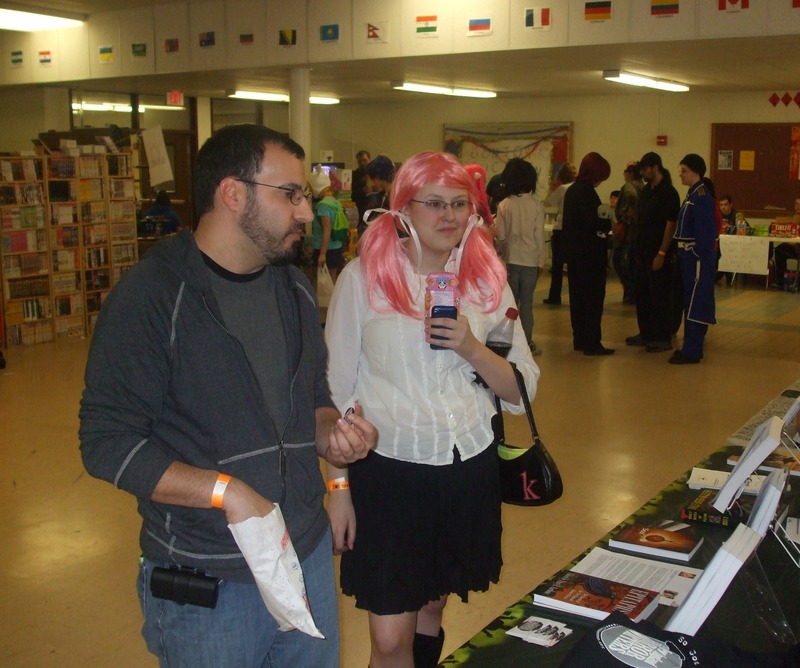 So I am a little confused as to why the sci-fi convention Boskone would be held about a month after the much larger spectacle of Arisia, in the exact same hotel, no less. This would be like going to watch the Super Bowl on the jumbotron of the stadium it was played in a month after it was over and everyone else had left. That would be something of a letdown, right? Oh sure, the vendors would still be open and you could pay ten bucks for a beer if you really wanted to, but it’s not the same thing. Now, by contrast, if they had played the first Giants/Patriots Super Bowl on the jumbotron in the stadium a couple days before this year’s, that might have been cool. It would have been a primer for what was coming. All right, admittedly, every time I have been to some sort of fan convention in the last six months, it has been a first time for me. But maybe, just maybe, that means my opinions should matter, just a little, if some of these cons want to actually attract newbies. Boskone is very much like a primer or practice run for something as grandiose as Arisia. I’m not saying that both shouldn’t exist together in the same world, but I can’t help but feel that Boskone should be held before Arisia, not after. Just four weeks before Boskone was held, I was completely overwhelmed by the magnitude of Arisia. Held at the Westin Boston Waterfont, Arisia seemed to make use of every single conference room in the hotel. To be honest, I’m surprised the Westin had enough space available to accommodate the seemingly hundreds of events that Arisia had going. As I walked around with my eleven year old daughter at Boskone, I found myself asking, where’s the rest of it? 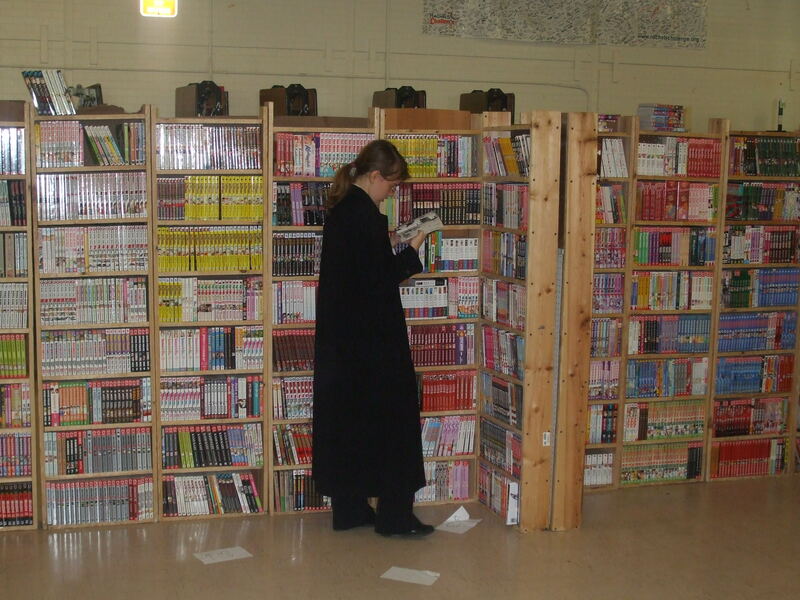 Also, what’s with almost all of the vendors selling books? Nothing against books, per se, but don’t sci- fi fans also like to wear cool geeky t-shirts, watch movies, and own toy props from their favorite series? There hasn’t been as much of that as I expected, at either Boskone or Arisia, to be honest. 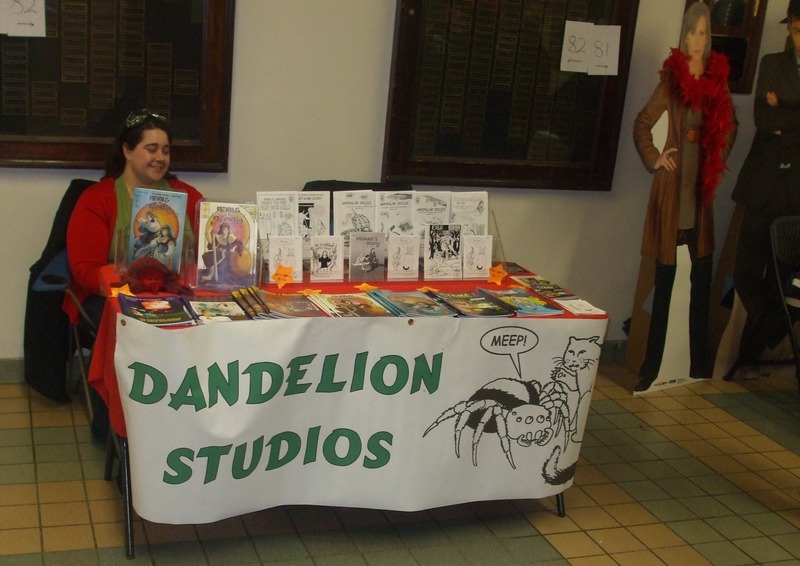 Arisia had a better mix, to be sure, but still fell short of my expectations when it came to vendors. My daughter was drawn to a woman who sold stuffed animals of every imaginable species. She even had dodo birds! My daughter, Kayleigh, asked for a monkey backpack. Since she was nice enough to accompany me to something that she had no idea if she would enjoy, I bought it for her. Kayleigh’s squid. Photo by David Price. We sat down and watched the Higgins Armory put on a display of medieval sword fighting for a while. This was cool for me, because I actually took those classes at the Higgins Armory about ten years ago, so watching it brought me back to the fun I had learning that style. It wasn’t the most exciting thing for an eleven year old girl, however, so we eventually moved on. 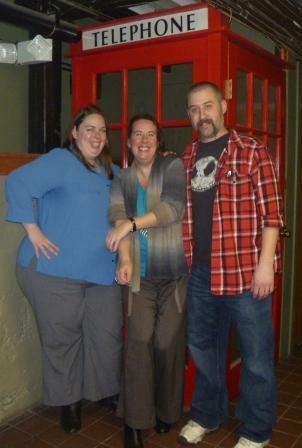 The most fun we had together was at the art show. I was happy to see how all the artwork appealed to my daughter, since I have loved fantasy art for as long as I can remember. 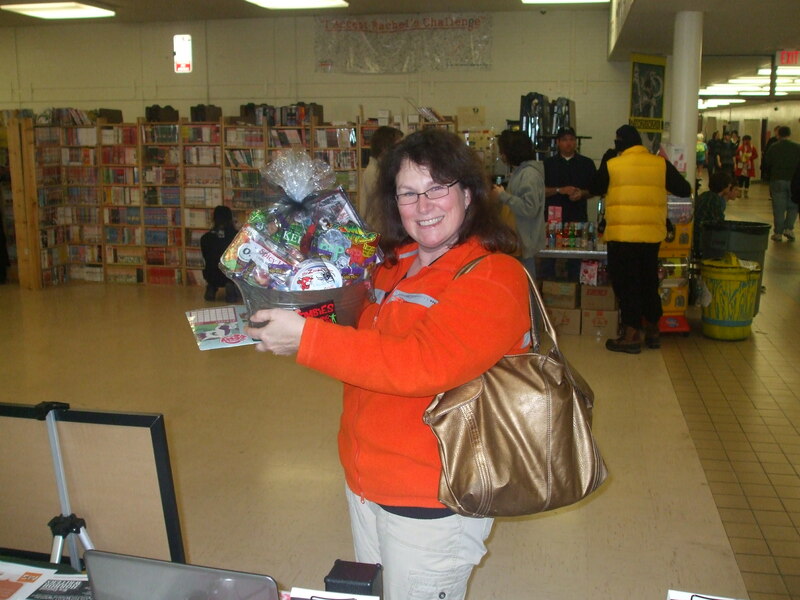 I wish we had more money on hand, because there was a piece Kayleigh really admired, but I couldn’t afford it. We must have walked through the art show a half-dozen times and I saw something new each time. Knowing what I know now, I’ll be more ready for it next time. I will say this about Boskone, it has a much more personal atmosphere than Arisia. There were reserved tables all over the place for groups to get together and game, chat, hang out or whatever. 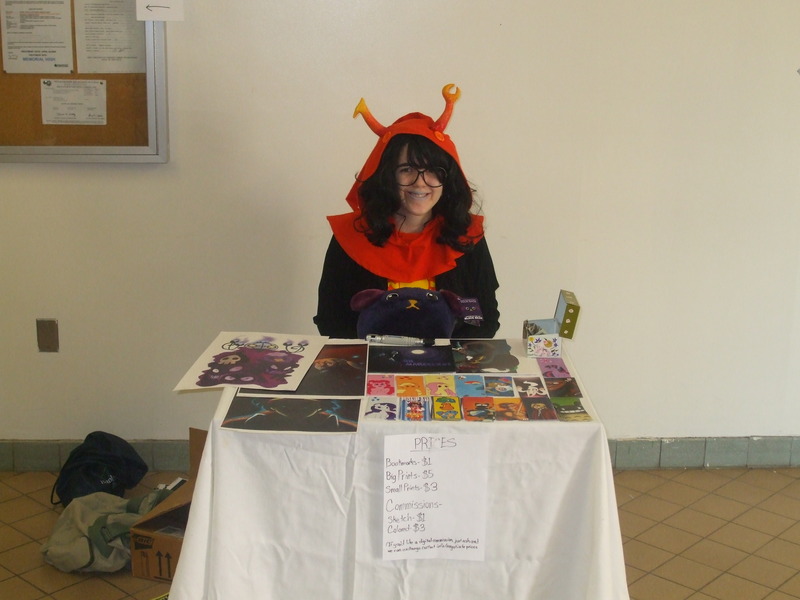 But since I am not a member of any of those groups, that part of the con was lost on me. As Kayleigh’s enthusiasm started to wane, I finally talked her into checking out the kids section that they called Dragon’s Lair. She didn’t want to at first, since it seemed to have mostly younger kids in there. She gave in at last, because the children in Dragon’s Lair were obviously having fun. While Kayleigh was in the kids’ section, I spent some time going through a display that advertised many of the upcoming cons. I’ll give many of them a try this year, and I have a feeling I will have a much better idea of the what will appeal to me after all is said and one. 2012 is going to be an interesting year. 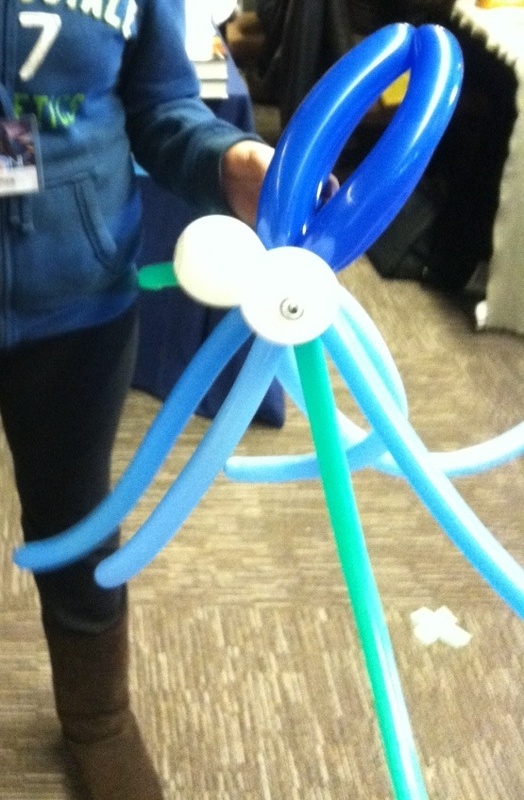 After goofing around in there for a little while, Kayleigh came out with a balloon animal squid. That was pretty cool, since a giant squid attacks my hero and his friends in my first novel. A lich. Photo by David Price. Before we left, Kayleigh insisted I buy something for myself as well, especially since we couldn’t afford the art we had been admiring. 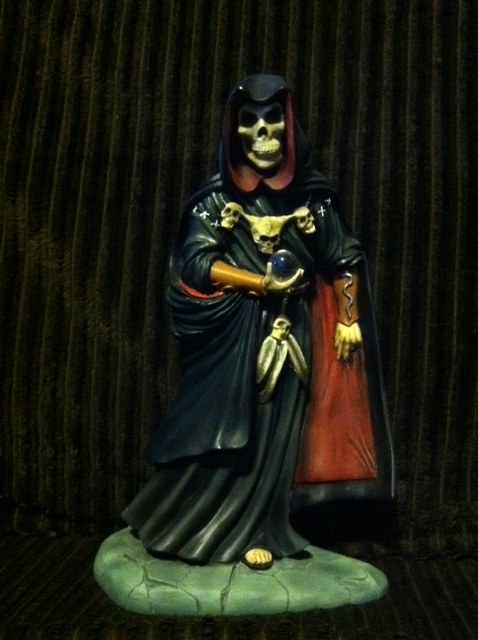 I finally settled on a small statue that truly embodies my two favorite genres; horror and fantasy. The statue is of a lich. If you are unfamiliar with the term, consider it an undead sorcerer. There is just something about it that is inspirational to me. I guess when I look at it; I imagine that it is what my muse probably looks like, when I am writing my particular brand of monster fantasy. 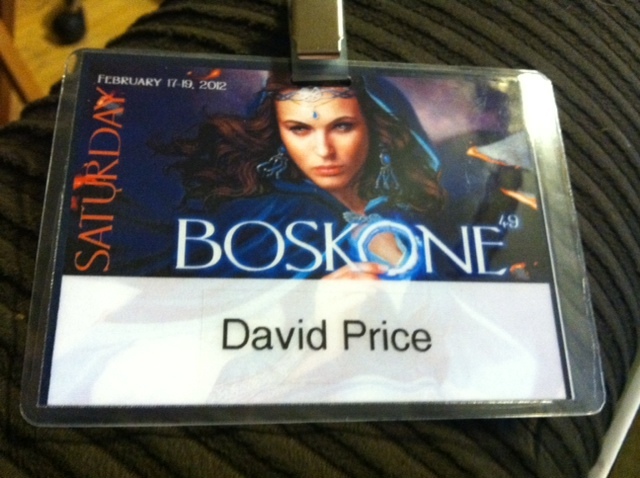 Anyway, Boskone 2012 was also Boskone 49. I imagine the organizers are planning something big for the fiftieth anniversary of Boskone next year. Maybe that’s why this one seemed a little small to me. Perhaps they are saving up the big guns for next year. I guess I’ll just have to wait and see. This funny take on learning about Facebook comes from the blog of the Co-chair of the NEHW, Stacey Longo, which can be found on her website. 1. Remember that creepy guy from high school, the one who wore plastic vampire fangs to class and stared at you all day? Yup, he’s on Facebook too, and he’s about to send you a friend request so that he can finally confess to you that he was in love with you 30 years ago and that you are still just as beautiful today. Feel free to ignore his friend request. 2. Remember your younger cousin, the one who set off firecrackers in the chicken coop and it caught on fire? He hasn’t changed. Ignore his friend request, too. 3. People will tag random pictures of you. They do not care if you were thirty pounds heavier in that photo or had just had your hair done like Gene Simmons of KISS for a costume party. They also don’t care if your mother is on Facebook and will not find it as hilarious as your friends do to tag you in a picture of a bong shaped like Elvis’s head. You do have the power to un-tag yourself in those photos. Do it. 4. Good news! Your mother is not on Facebook. Yet. 5. Some of your Facebook friends are quite vocal about their political views or feelings on social issues affecting our nation. Some of these people are, in fact, crazier than fruit bats. Choose your battles wisely. Sometimes it’s better to just bite your fingers instead of commenting. 6. Yes, if you post something on someone’s page, all of their friends can read it. So if you want to tell your friend Jeanie that you still regret not marrying John Taylor of Duran Duran, send her a private message instead of posting it on her wall where your husband might see it. 7. Of course Duran Duran has their own Facebook page! You can only ‘like’ it once, though. 8. Don’t keep updating your status every five minutes. Honestly, nobody cares if you just found a great deal on toilet paper at Target. (Wait. How great of a deal was it?) Also, why do you want creepy vampire fang guy to know where you are at all times? Facebook can be a little scary for newbies. Personally, I’m thrilled to have my sister on there with me, mostly because my cousin Lori keeps ignoring my Farmville requests, and I want someone to play with me. Plus, it’s better that she figures Facebook out now…before her children do! 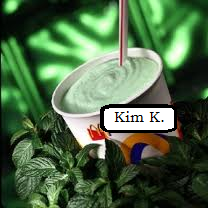 This entry originally appeared on New England Horror Writers’ member, Paul Tremblay’s website. Thus far, I’ve read Lifted, a story about an elaborate government bank heist in Sweeden (the story includes, as it’s stunning prologue, actual surveillance footage from the break in–clips included in the YouTube clip below) and Baghdad Country Club (animated prologue included below), a story about a bar set up in the Green Zone during the height of the Iraq war. 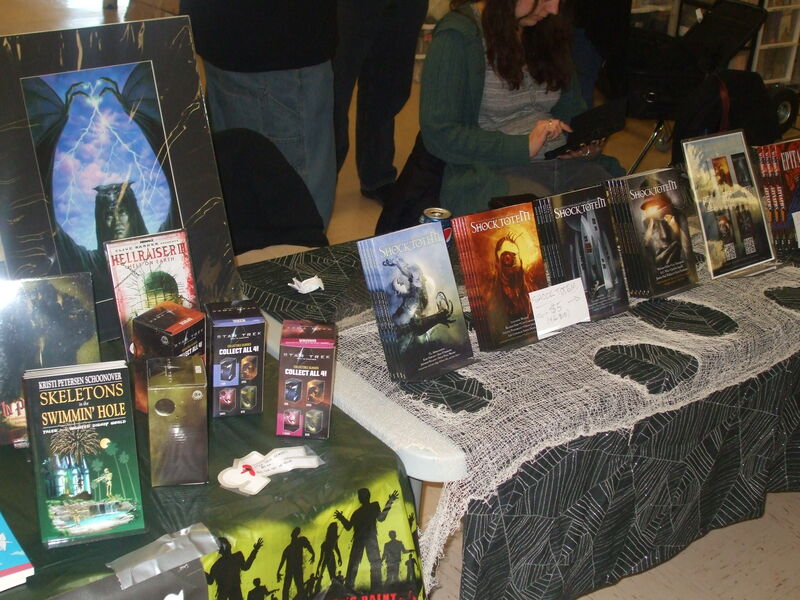 Nobody really wants to go back to high school, but that’s exactly what the New England Horror Writers did when they attended Queen City Kamikaze at Memorial High School in Manchester, NH on Feb. 18. 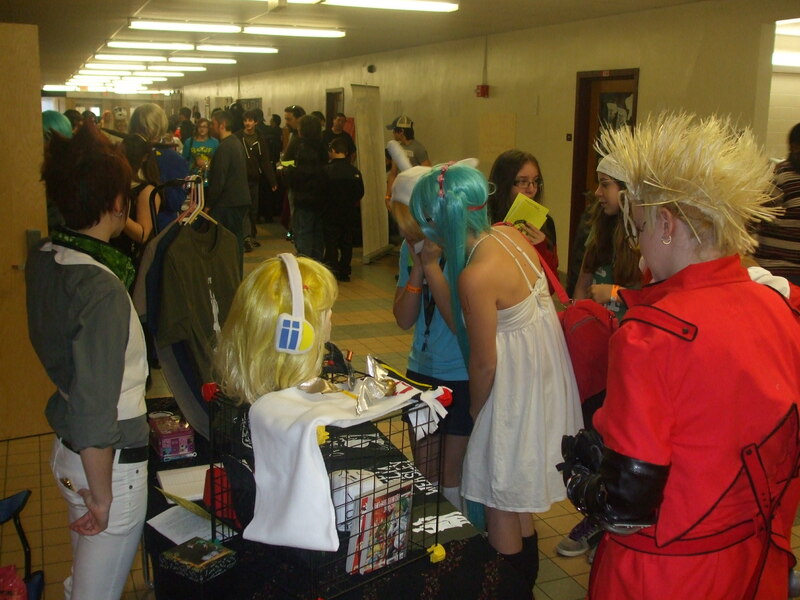 The NEHW had four tables set up at this anime and video game convention. 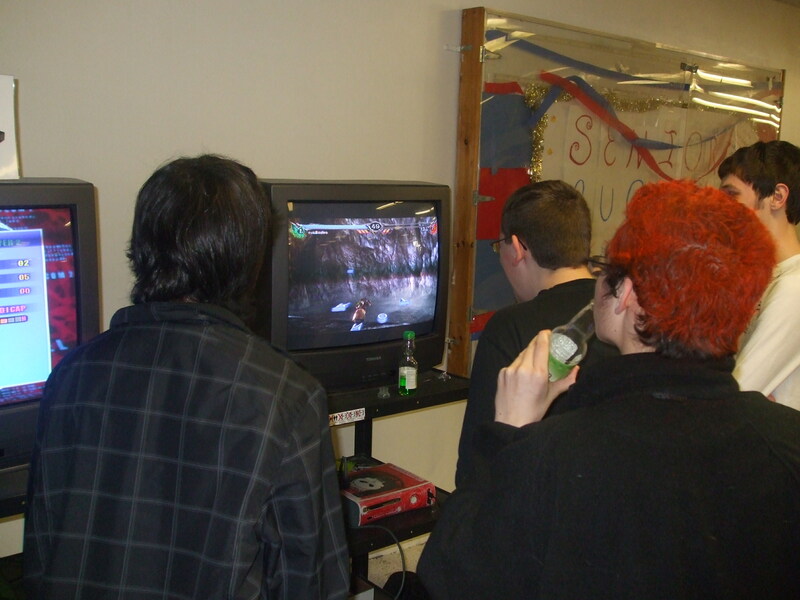 While some skeptics might think that an auditorium filled with gaming consoles and Japanese animation may not be the best fit for a group of horror writers, the event was a huge success for NEHW. 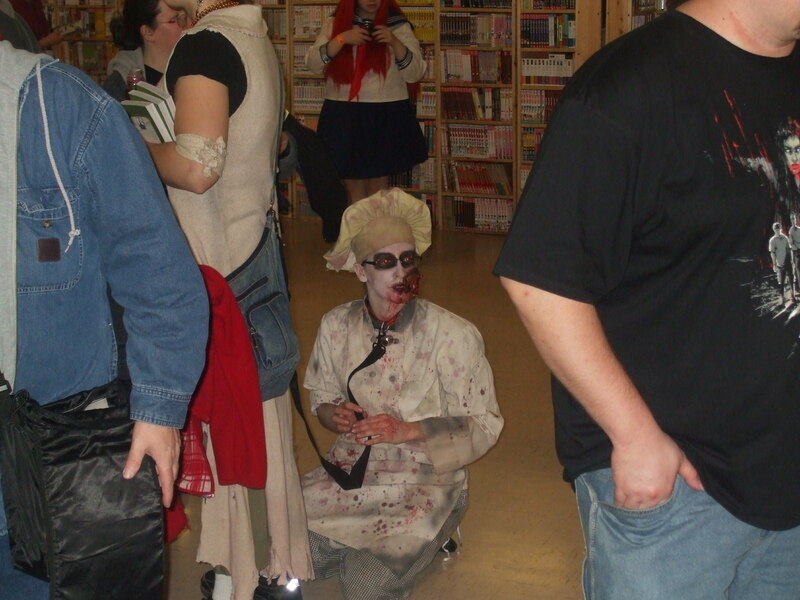 All throughout the day, fans young and old stopped by the booth to meet the authors, buy some books, and learn more about what it is, exactly, that is so fascinating about the horror genre. NEHW members Tracy Carbone, Alyn Day, Sarah Gomes, Scott Goudsward, Jason Harris, Kristi Petersen Schoonover, Nathan Schoonover, Rob Watts, K. Allen Wood, and myself were on hand to meet the convention-goers. Author T.T. Zuma and Sci-Fi Saturday Night creators The Dome, the Dead Redhead, and Illustrator X stopped by the booth as well. 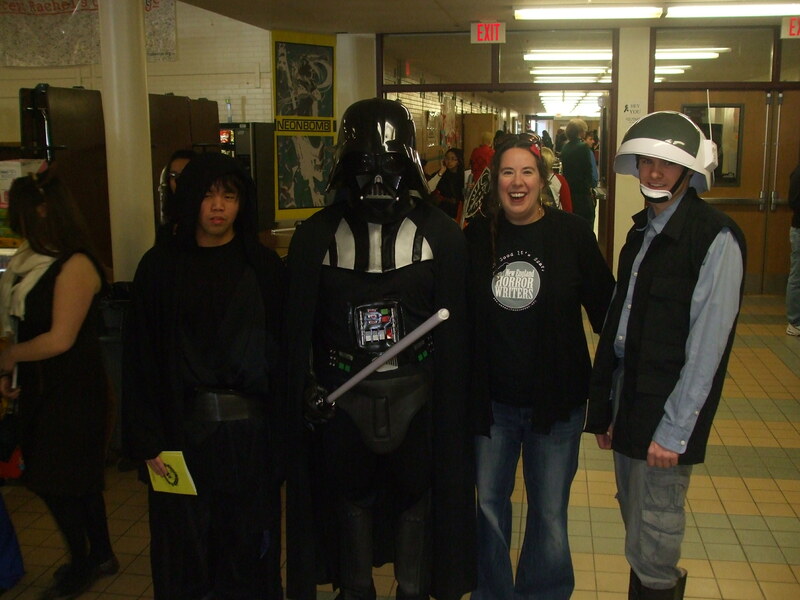 The attendees were largely made up of high school age students, dressed up in creative costumes that varied from anime and manga characters to the occasional Darth Vader and assorted storm troopers. While this particular writer would have never been allowed by my father to leave the house dressed in some of the outfits on display, the mood of the crowd was upbeat and squeals of excitement could be heard as each new Pikachu and Vegeta costume came through the door. Despite not really knowing who these characters were, the attendees’ enthusiasm was contagious, and the NEHW members had an entertaining day. Tracy Carbone, Alyn Day, and Kristi Petersen Schoonover participated in a panel on Women in Horror, moderated by myself. 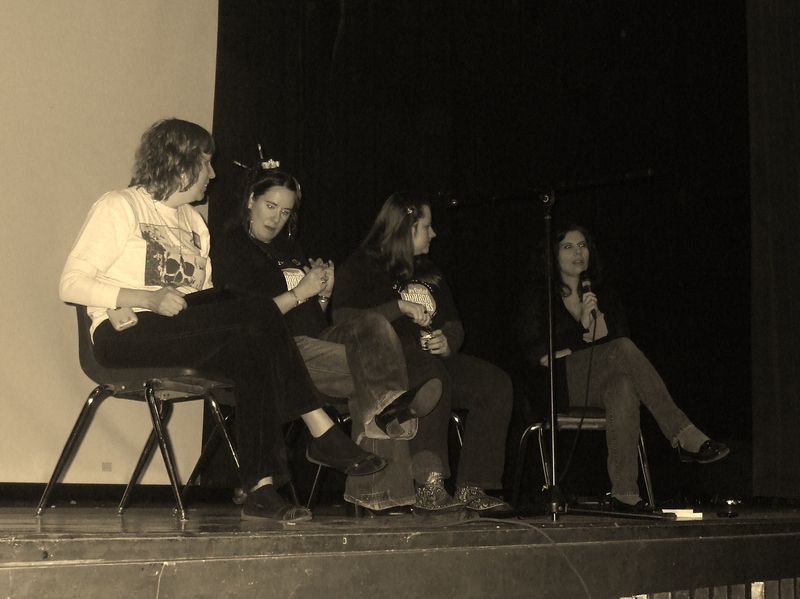 The panel debated such topics as victimization of female characters in the horror genre and who would win in a catfight between Halloween’s Lori Strode and Nightmare on Elm Street’s Nancy Thompson. They were followed by a panel on Trends in Horror comprised of Nathan Schoonover, Rob Watts, K. Allen Wood, and myself. It was moderated by Jason Harris. 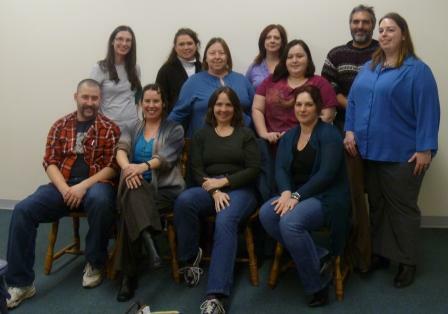 This group discussed the cyclical nature of horror trends and deliberated over the future of shows like The Walking Dead and Finding Bigfoot. Audience participation was high for both panels, and both groups received enthusiastic applause at the end of the day. Personally, I had a great time at Queen City Kamikaze. I gained a new fan (thank you, Artie!) and was able to visit with old friends and new. 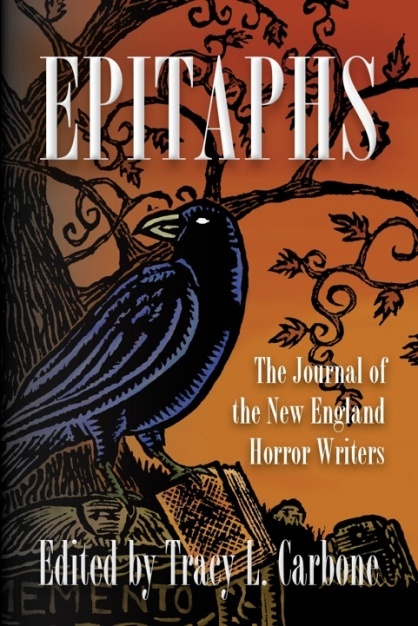 Book sales were high, buoyed by the morning’s announcement that the NEHW’s first anthology, Epitaphs, was now officially a Bram Stoker Awards nominee. Going back to high school wasn’t bad at all, but of course that should have been a given—no matter what the age, horror writers are usually considered to be the cool kids in class.